Cancellation policy: 50% non-refundable deposit with the option to get the other 50% back in the case of a cancellation made 30 days prior to the event. Refunds cannot be made when it's less than 30 days to the event. 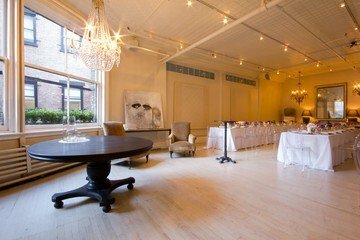 This is a beautiful and very elegant corporate event venue in NYC with very high ceilings. Whether you'd like to work, display or present, dine or meet, it is a great space to welcome your guests for a warm and intimate experience. 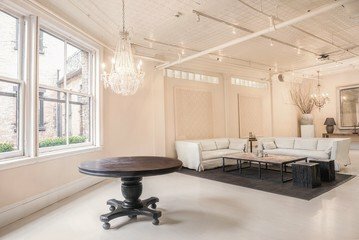 If your guest would all be standing, you can invite a group up 100 guests in this large and stylish venue of 1206 square feet. It’s therefore absolutely perfect if you are looking for a large space, which sends out a warm and cosy, yet professional atmosphere. Regarding the available equipment in this space, for an additional charge you can order a projector and screen and a flipchart. Naturally, it is also possible to book catering and drinks to your room rental, for extra costs. For free, you will be provided with a microphone and a music system. 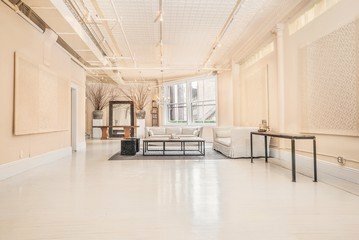 This means that you can have almost everything necessary provided in this wonderful corporate event venue on Broadway, to make sure your corporate event is organized down to the last detail. 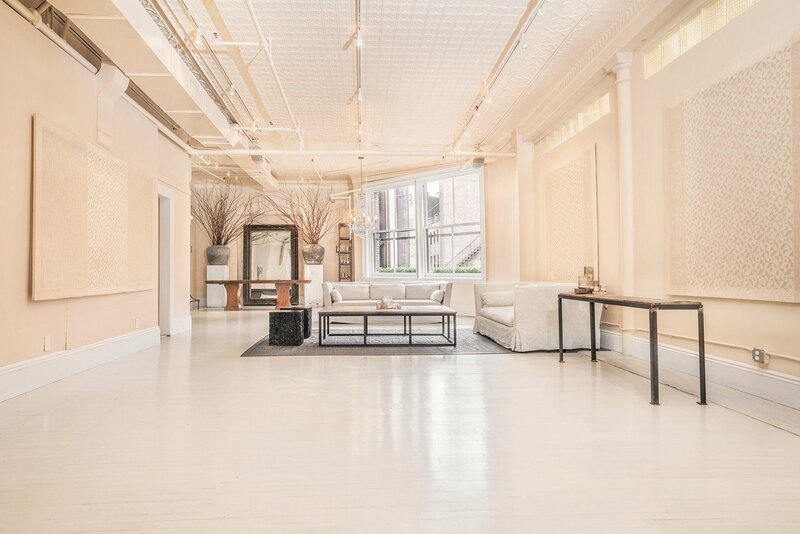 The space is located on Broadway, very close to Union Square Park. Being located on one of the biggest streets of the city does not only make sure it is easily reachable, it is also in an area with many bars and restaurants. It is therefore absolutely perfect, when you for example want to have drinks after the event or take a break at the park. You will be able to reach the corporate event venue in NYC, when you make use of public transport methods. For instance, you can take subway lines 4, 5, 6, L, Q, N, R, W to Union Square Station, after which you will only have to walk 4 minutes to get to the venue. For those travelling from out of town, there are also many hotels around, such as the Hilton and the Chelsea Inn Hotel.